Bylieva Daria S. Zamorev Anton S. Nam Tat’yana A. Information and communication technologies are radically changing the human existence. The study offers an interpretation of the virtual phenomenon as reality through the prism of philosophical thought. 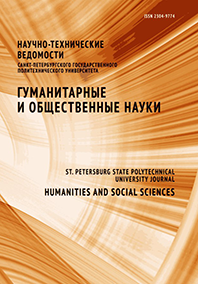 Social analysis and systematic approach allow to study the peculiarities of a person᾿s presence in virtual reality, the norms evolving for a person’s existence online. We suggest, on the one hand, that there are multiple virtual realities, and, on the other hand, that Internet reality has a special status competing with physical reality. Consequently, the online personality cannot be interpreted as one of personal identities; it has a special status and is defined by the specifics of virtual reality. Being in the Internet is not determined by the norms that apply outside its borders, with the exception of a small part of virtual reality that falls under legal regulation. The remaining part is under control of “owners” and creators of some part of the network or falls under self-regulation. The area of virtual worlds of multiplayer games is the most illustrative example: deviant behavior (such as murder or robbery) is allowed, while interference with the rules established by the demiurges is regarded as violation of the norms.